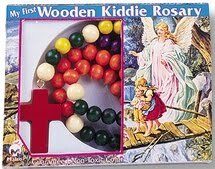 I have no idea how big those beads are, but really, how young can they be if they can say the rosary? Apparently it's a disposable camera. 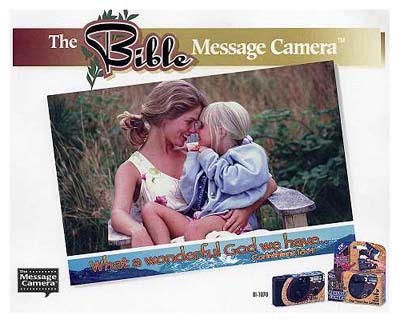 When the pictures are printed, you get a bonus Bible verse on the print. I have no idea how they do that kind of sorcery, and knowing would probably take the magic out of it anyway. I do, however, wonder how many drunk college freshmen have used these to take pictures of their wangs.